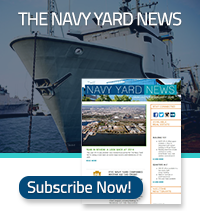 The Navy Yard offers a variety of public spaces for events, races, festivals, programs, activities and performances that are consistent with PIDC’s goals of increasing the regional visibility of the Navy Yard and engaging Navy Yard employees, stakeholders, and the surrounding community. This application is intended for the use of organizers of special events – public and private events, races, festivals, programs, activities, and performances. Any gathering requiring a reserved space with tents, sound systems, staging, road closures, and/or any type of equipment is considered to be a special event. Arrangements for your event should not be made until you have received approval from PIDC. Return the completed application to PIDC’s Navy Yard office along with payment and all other required documentation. Urban Outfitters, Inc.: for corporate meeting space event inquiries, please contact Events@urbn.com. For all other private event rentals, please note that Urban Outfitters does not offer their spaces for that use at this time.